Fits 2015-2018 Dodge Charger SE and SXT Models with 3.6L and 2015-2016 Chrysler 300S with 3.6L V6 engine. 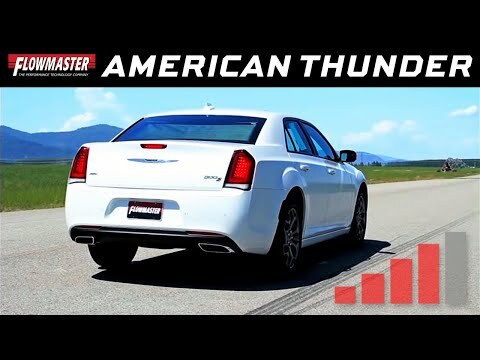 Flowmaster's American Thunder Cat-back exhaust system for the 2015-2018 Dodge Charger SE and SXT with the 3.6L V6 engine, is perfect for the person looking for an aggressive exterior sound level while maintaining a moderate interior sound with all of the performance benefits that you would expect from Flowmaster. 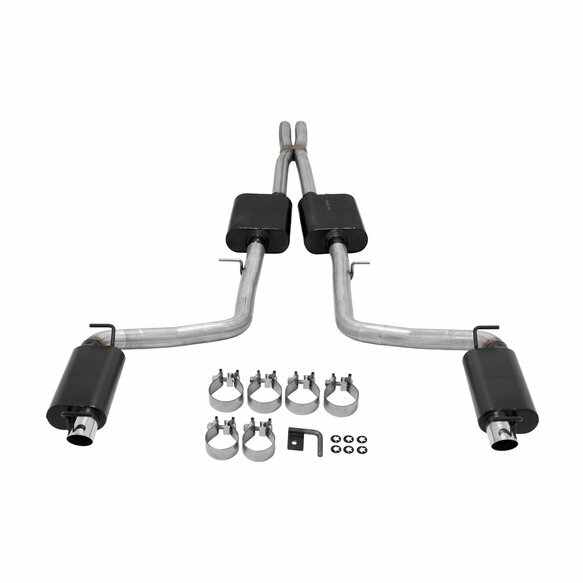 This bolt on 409S stainless steel system features a pair of Super 44 Series mufflers and resonators. 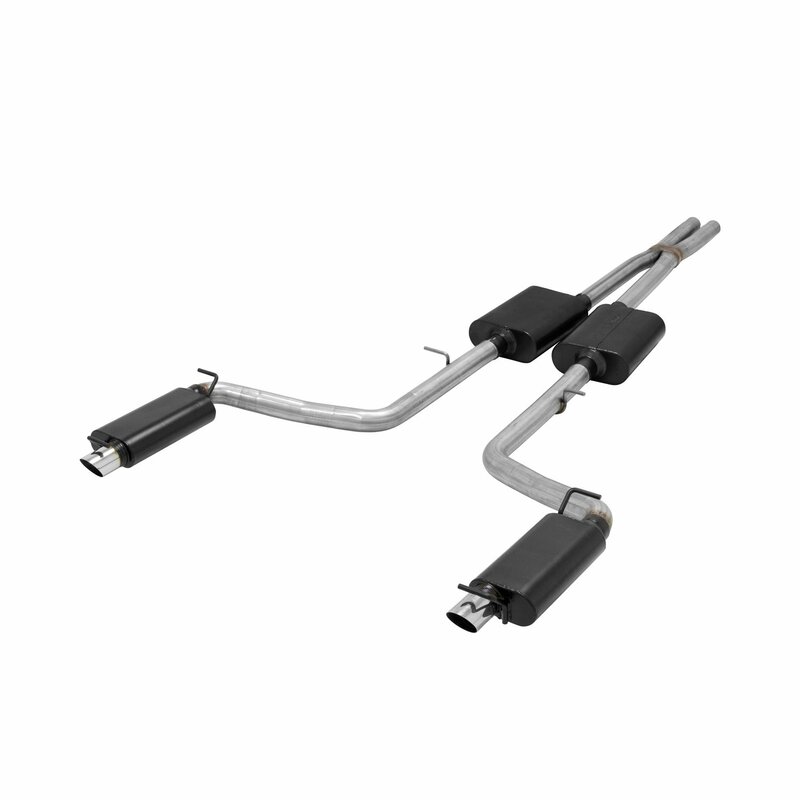 The systems uses 2.50" mandrel bent tubing for maximum performance and then is finished off with 2.50" stainless steel tips that exit within the rear bumper valence. 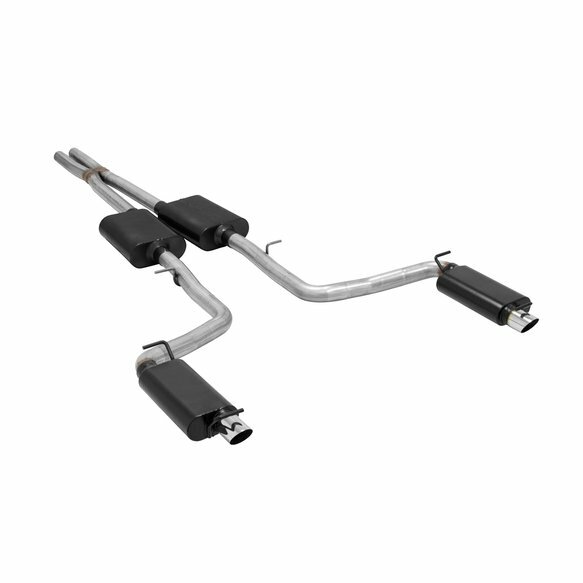 The exhaust system is covered by Flowmaster's Lifetime Limited Warranty. Designed for an easy fit, this system includes all necessary parts and hardware for installation.